The Replacement - Lodge & Kitchen is a great place for brunch with good company! 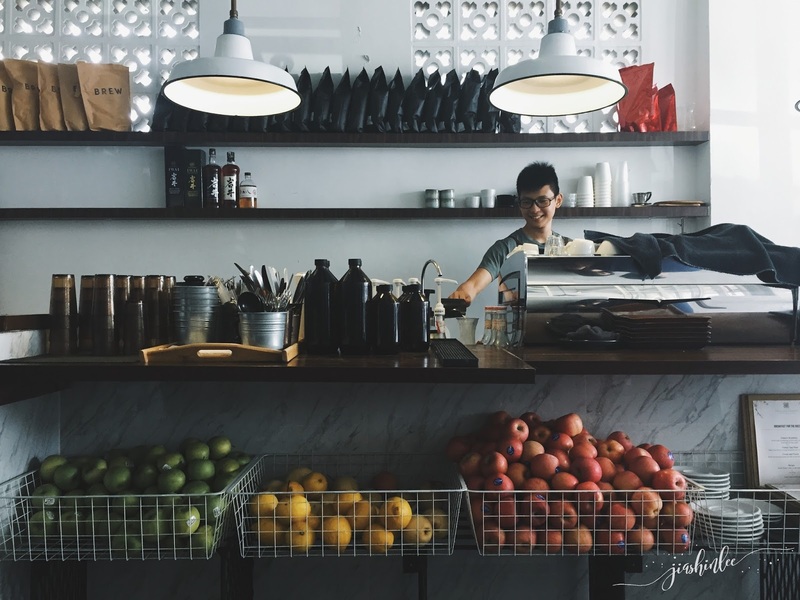 They serve an all day brunch menu with a great selection of coffee, tea, and fresh juices. Churros were also made fresh and it is one of their highlights but my tummy can only take that much at that time so I'm definitely coming back for more! 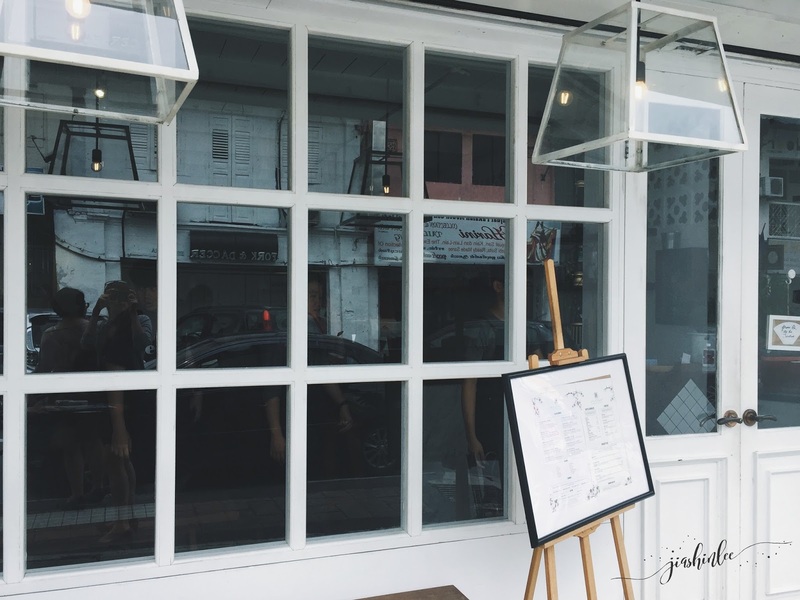 The cafe is located right in the city center of Johor Bahru, just a few street from City Square. It is clean, bright and comes with a touch of a minimalist which makes it a Instagram worthy cafe. The cafe is not very spacious, there were 15 tables available, if you are coming on a weekend do come early or be prepared to queue because it took me awhile to get my seats because of the crowd that was pouring in. 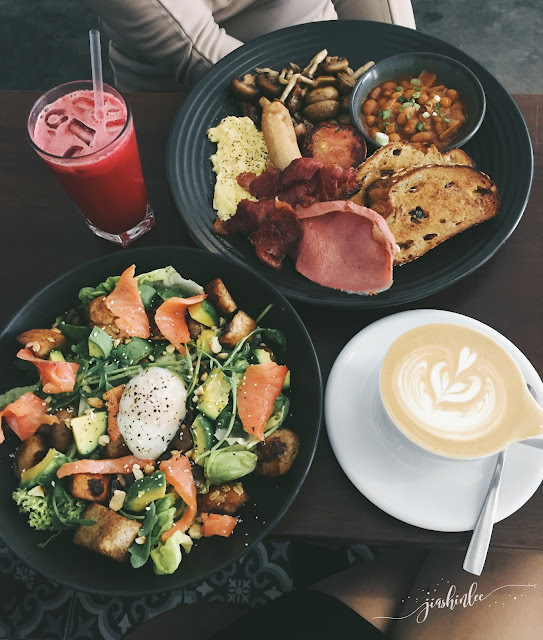 Here's my order of the day, The breakfast platter RM29.90, Chef's salad with avocado RM25.90 Rose Flavored Latte RM12 and Slow Juice - Red Ranger RM15 is a blend of juicy tangy tomatoes with sweet red apples. I love how their juices are made fresh on order with no added sugar. Chef's salad with avocado was a big serving of greens with a perfectly poached egg which is still runny. 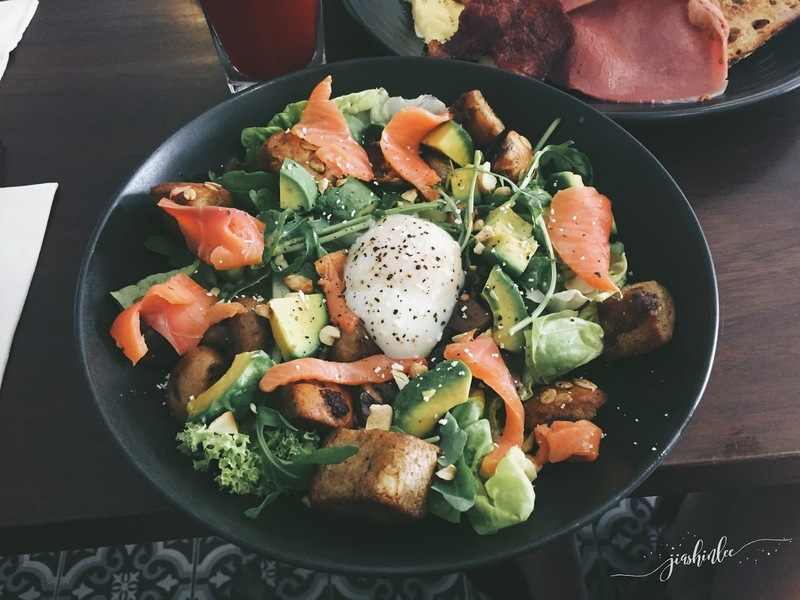 Topped with smoked salmon, sautée button mushrooms, muesli bread combs, and mixed nuts. What better way to start the day than with the classic Big Breakfast? The breakfast platter is a wholesome meal which you will not regret! 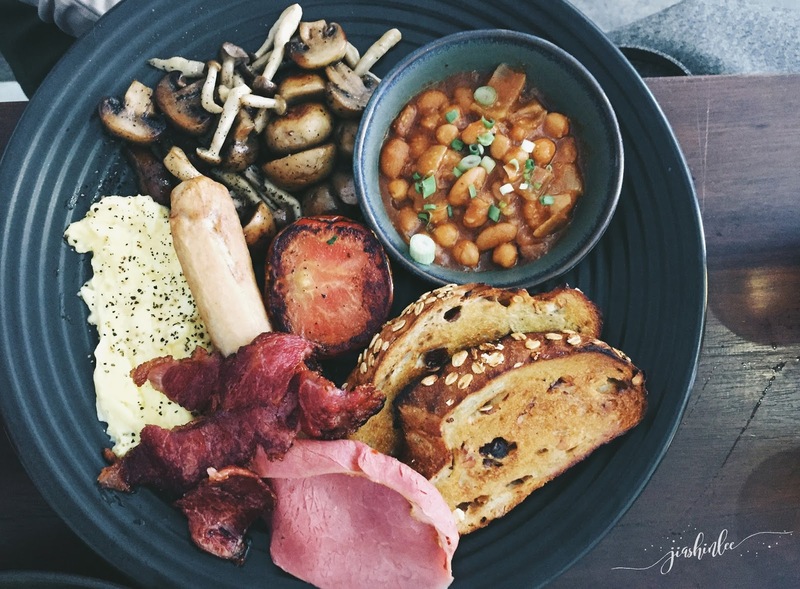 Comes with buttery scrambled eggs, sautée portobello mushrooms and button mushrooms with grilled tomatoes, chicken sausage, beef bacon, ham and muesli bread. There are so many reasons for me to come back to this lovely brunch spot again, the food was awesome, the service was great, the people were friendly and I love that homely feel of the cafe. Highly recommend The Replacement - Lodge & Kitchen for a great spot for brunch in JB. Nice.Love the photos and since it's close to lunch hour,it's got me ravenous. I love the breakfast brunch choice. It look balance and nutritious meal. Nice photos! Makes me want to cook these for tomorrow's breakfast! Cheat day tomorrow! Wow, the these looks incredibly delicious! Amazing photos! The salad bowl looks so bomb. Thanks for sharing. It's been quite a long time since I have visited JB but nice to see that there are some cool places to dine. The food looks absolutely scrumptious! The dishes are so tempting. I should try to eat there one fine day. Long time didn't eat big breakfast liao. bharu? bahru? btw, All my favorite food!! Specially salad with avocado ! My friend and I are planning for a Johor trip ! Hope I have a chance to try this when I am there. Another choice for tasty food with good environment. wow! !next time when go trip at Johor, must try this! !Looks so yummy and delicious! !make me hungry now!! Wow! the Chef's salad with avocado is so tempting. I love big breakfast the most!! the breakfast looks great! will definitely visit when i'm in JB.